Thank you for your help on the [BLANK] project. Your contribution was essential to our success. The way that you [BLANK] was [BLANK]. Your time is valuable and I really appreciate you making this project a priority. I look forward to the next opportunity to work with you . . . If this note was addressed to you would it make more of an impact to be typed, delivered to your inbox or, handwritten, delivered to your mailbox? In 2013 I made a resolution to write handwritten notes to people that had been helpful or inspirational to me professionally. Over that 365 day period, I estimate spending no more than four or five hours writing handwritten, mailed notes. The feedback that I received was overwhelming! Almost every individual that received a handwritten note made a point to thank me (and I was thanking them in the first place!) for taking time to write and send a personal note. I would never have expected such a response, but it proved to be a little thing that made a big impact. It is no secret that people like to be thanked and recognized for their contributions. It is, however, an unusual thing in this day and age to actually receive something in the mail. Every day our mailboxes are overflowing with catalogs, bills, solicitations, advertisements and other junk mail, so much that I cannot remember a single thing that I received yesterday. But, the note from my brother and sister-in-law saying thanks for a recent gift really stands out as something special. 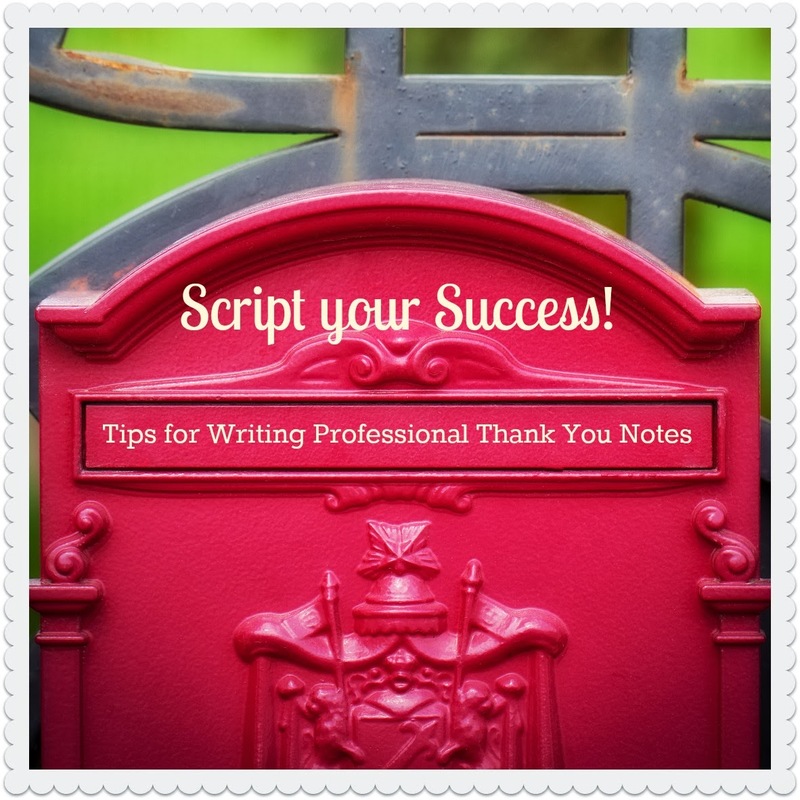 If you want to stand out in your professional environment (as well as personal), set aside just a little time throughout the year to write a few notes. I promise that you won’t regret it! Just do it. I have managed a prestigious, national fellowship program for over four years. We receive over 100 applications for only 20 slots each year. About 40 people are interviewed (all expenses paid). We have only received three hand written thank you notes over the years (out of hundreds of people). Those people still stand out in my mind! You will stand out. After you write just one you will want to write more. Be authentic. Don't try to follow a formula for the perfect note. Be yourself. The person helped you with something. Thank them for it. Tell them how much it meant to you. Tell them why. Simple. Hand write it. Take the time to write the note out by hand. People receive typed letters all the time, even in the mail. It is taking the time to hand write it that will really set you apart. Short is fine. It really is the thought and effort that people will remember, not the length. Do it quickly. Get the note in the mail very soon after the event or experience. That also shows how much it meant to you. Keep notes with you. You never know when you will have a few extra minutes to dash off a note. Having notes with you makes that down time productive. I wrote almost all of my thank you notes last year while watching my kids' sports practices. Ready to get started? See a great selection here of 2 for the price of 1 flat or folded notes. Stock up for the year!